NOTE: Online ticket sales are closed. Tickets still available at event General Admissions day of the event is $25. Reserved General Admissions is still $30. Please purchase a ticket at the event. Thank you. 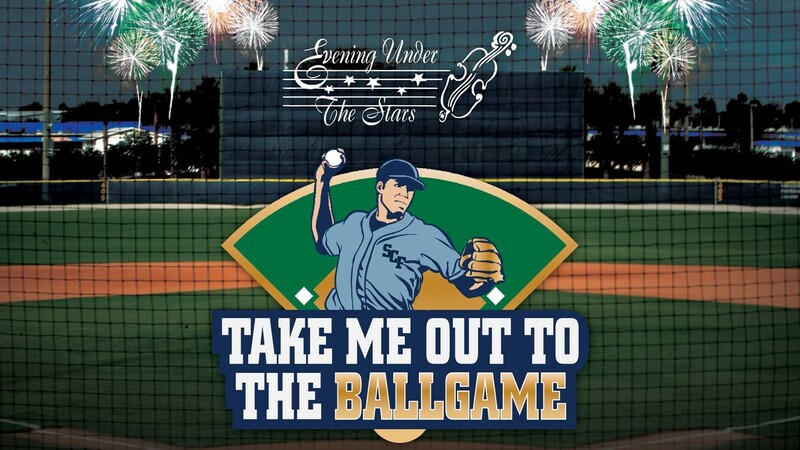 The 31st annual Evening Under the Stars will be held on Saturday, April 6, 2019 on SCF’s Venice campus at 8000 Tamiami Trail S. This year’s theme is “Take Me Out to the Ballgame,” welcoming the Atlanta Braves and baseball to the neighborhood. Food will be sold, student entertainment, followed by The Venice Symphony and fireworks brings 1500+ guests to our campus each year. Contact Barb Bourgoin for more information at 941-752-5398 or email BourgoB@SCF.edu. NOTE: Online ticket sales are closed, please purchase a ticket at the event. Thank you.